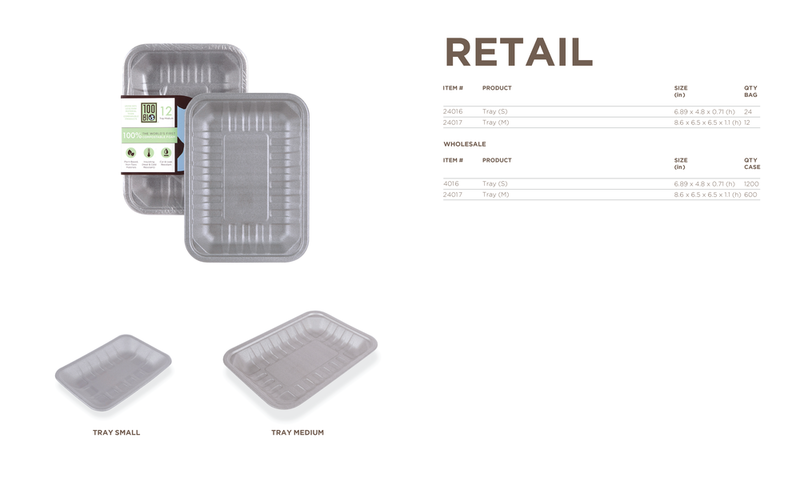 Our fresh food tray line consists of various sizes, all made from Natureworks Ingeo PLA. Our foaming process ensures our plant-based materials perform at a high level for optimum customer satisfaction. Heat resistant up to 170 degrees, our products are also insulating, sturdy, leak resistant, and free of harmful chemicals such as BPA. Perfect for grocery stores, foodservice trucks, and freshly packaged goods.